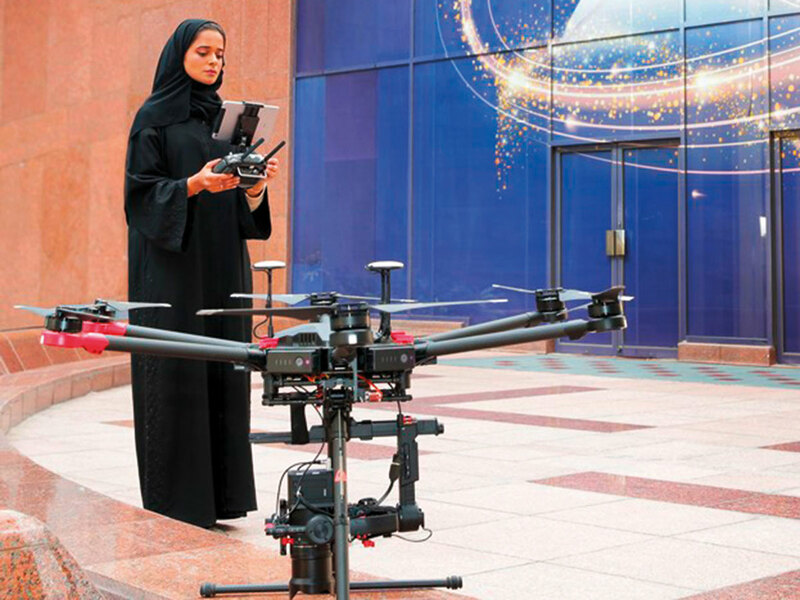 Dubai: Maitha Al Nuaimi has become the first Emirati woman to obtain a 3D camera drone licence in Dubai from the Civil Aviation Authority. The move is part of Dubai Municipality’s keenness to support, train and develop skills of its employees in various fields. Mariam Al Muhairi, Director of the Geographic Information Systems Department at Dubai Municipality, said: “The development of talents and skills of municipality staff is one of the most important priorities that we are keen to constantly implement and make a reality. “We always strive to provide a supportive environment that helps raise performances of staff to offer their best, which is reflected in enhancing the quality of services provided by Dubai Municipality to the community. “The municipality has laid the foundations for providing spatial data and maps to government agencies, the private sector and individuals in Dubai. It is also using the latest technologies in spatial data collection, development, scrutiny, archiving, analysis and is making them available to decision-makers of all executive, planning, regulatory and legislative levels, with the aim of improving the business environment and enhancing levels of the growth of productivity,” she added. By obtaining the licence, Al Nuaimi will be able to use a specialised drone owned by Dubai Municipality and equipped with cameras with advanced technical standards in the field of 3D maps production. She has undergone two types of training, one on the criteria of operating the drone and how to control it remotely and the other on how to use 3D imaging technology. The support of Dubai Municipality to Al Nuaimi reiterates its belief in empowering women and providing them with all possible means to achieve their ambitions and objectives and also reflects the Government’s vision of supporting UAE women in all fields.